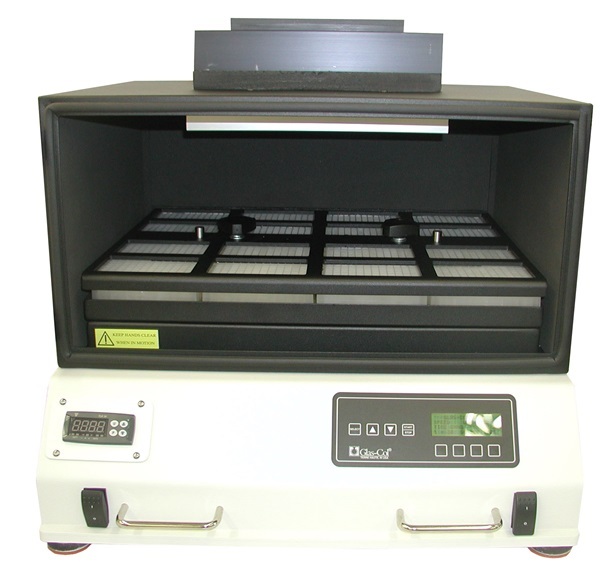 Ideal for high-throughput micro-expressions for recombinant proteins. 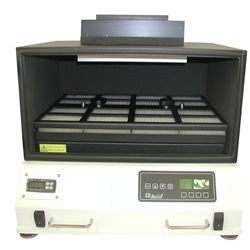 Performs high or low speed mixing (orbital), Gives repeatable mixing results, Uniform temperature: 15 to 50C range +/- 0.4 C, Lexan front window, Speed range: 150 to 1200 rpm. Two systems are available: 8 deep well plates and 16 deep well plates. 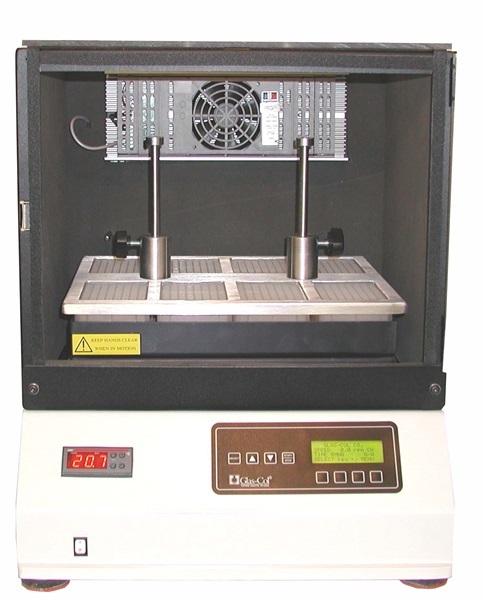 Both are constructed of a steel base with digital control of speed time and pulse features. Independent temperature control of heat/cool system making this one of the most reliable systems available.